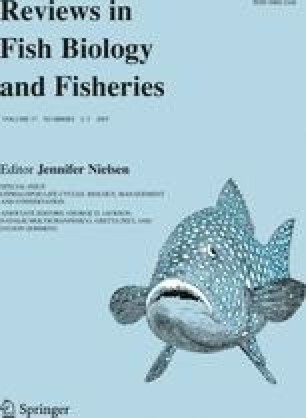 Using a combination of laboratory and field investigations, this study examined embryo mortality in the southern calamary Sepioteuthis australis as a function of egg mass size, the substrate upon which the mass is attached, the position of the embryo within the mass, and the degree of biofouling. Egg mass size ranged from 2 to 1,241 egg strands, however most masses consisted of 200–299 strands. Small egg masses (<300 strands) were generally attached to soft-sediment vegetation (Amphibolis antarctica, Heterozostera tasmanica, Caulerpa sp. ), whereas larger masses (>300 strands) were either securely attached to robust macroalgae holdfasts (Ecklonia sp., Marcocystis pyrifera, Sargassum sp.) or unattached. Rates of embryo mortality were highly variable ranging from 2 to 25%. Both laboratory and field results indicated a positive relationship between egg mass size and embryo mortality. Larger, unattached egg masses contained twice as many dead embryos than those securely attached to a substrate. Mortality rates were significantly affected by the embryos’ relative position within the mass and were highest in embryos located near the attachment point of the egg strand, within the interior of the mass, and in close contact with the substrate. This was attributed to the inability of the embryos to respire adequately and eliminate metabolic wastes. 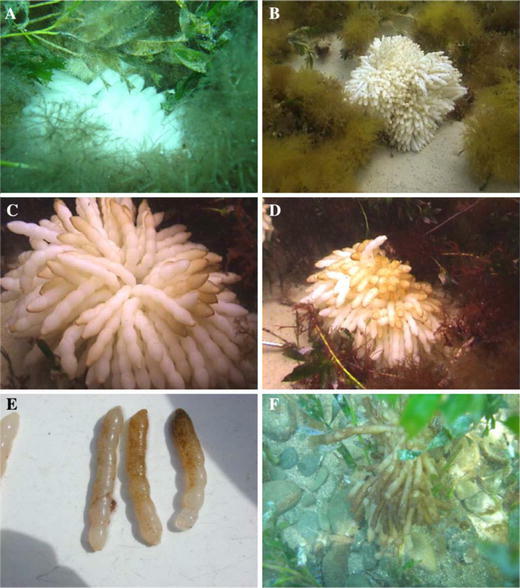 Biofouling did not strongly influence embryo mortality, but colonisation occurred in areas conducive to growth, photosynthesis, and respiration indicating ‘healthy’ regions within the mass. We thank G. Pecl, S. Tracey, D. Sinn, T. Jantzen and the crew of FRV “Challenger” for valuable field assistance, M. Haddon and P. Ziegler for statistical advice and B. McGrath-Steer, A. Jordan, J.R. Bower (Hokkaido University) and two anonymous reviewers for critical review of the manuscript. This research was carried out while M.A.S. was supported by a University of Tasmania Research Scholarship with supplementary funding from the Tasmanian Aquaculture and Fisheries Institute. All field expenses were met by a concurrent project funded by the FRDC (Fisheries Research and Development Corporation) (2000/121) awarded to N.A.M. This study complies with the current collection laws and code of ethics in Australia.